It was great to hear about automated cycle parking this week. 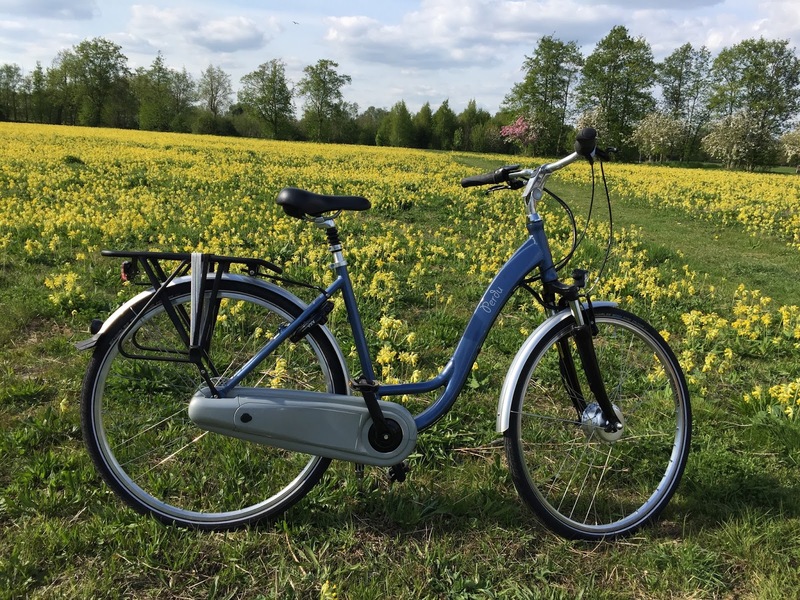 We attended the Bicycle Association (BA) Spring meeting in London on Tuesday, and part of the meeting was to hear from Nick Knight of EcoCycle. Automated cycle parking is very like automated car parking. You would take your bicycle to one of these units, push it into a slot and the bike is taken into the secure facility and parked in a stack. The idea from Japan enables lots of bikes to be parked securely in a small space, and can even be located underground with just a small kiosk at street level. With a growing cycle network and number of cycle journeys, cycle parking could definitely become an issue - we don't want the footpaths in cities to just be lined with parked bikes. This is a simple and effective solution. Because the facility is secure, only you can retrieve your bike, you can also leave any luggage and your cycle helmet strapped to your bike. I think that electric bike users would be really happy to use something like this. In the not to distant future there may even be charging facilities so that when you return your bike is charged and ready to go! Ralph and I were please to go to Southwark after the meeting to see a prototype in action. Nick explained that these units could be used for public parking, for businesses to install for staff parking or for new residential developments as resident parking. A small device would be securely fitted to the bike so that the parking machine can recognise it when it arrives. Customers will be able to retrieve their bikes with either a card or a smart phone. Tim's Cycle Shop held an electric bike open day on Saturday. Batribike went along with extra demo bikes to help out. I do enjoy this sort of event, you just don't know who you will meet. Having already met Ralph at the London Bike Show and done a story on Tim earlier in the year it was great to get us all together and Richard kindly took a picture of the team at the event. Ralph and I had arrived in Weymouth the night before and we all walked into town for an evening meal. It seems that Tim knows everyone in Weymouth and everyone knows Tim. There is a great community feel to his cycle shop. As we walked out on Friday evening me met the local Community policeman on his bicycle, he stopped for a chat and promised to drop by the next day. The team had a tea urn on the go from the start of the demo day with biscuits and cake to tempt the visitors. The community feel to the day continued with customers new and old dropping in to test ride the bikes and enjoy the hospitality. At the end of the day we headed off home and couldn't resist the scenic route past Stonehenge. What a great day it had been. Way back at the end of January I fell over and twisted my knee in a big way. Any of you who have seen us at shows since then will have seen me hobbling about and sometimes wearing a knee brace. The consultant thought initially I had torn something but last Thursday I got the good news that I don't need an operation, nothing torn. I had just injured my knee in a very big way and now I need to get it working again. Yesterday was my first physio session. I can't straighten completely and can only bend it about half way. I asked the physio about cycling and she said excellent! but don't over strain. Going out on an electric bike is perfect to get my knee working again. Turning the pedals mobilises, and the electric motor assistance takes the strain on hills and inclines. To start with my knee was really stiff and I wasn't sure whether I was going to be going very far. As I got going it became easier and my knee got a little bit easier to move. What a great afternoon it was to be riding on the Perdu. The wind was a little chilly but the sun was shining as I took the cycle path along the river. I found a whole field full of cowslips which looked fantastic. Further on the blossom was coming out on the Hawthorn. 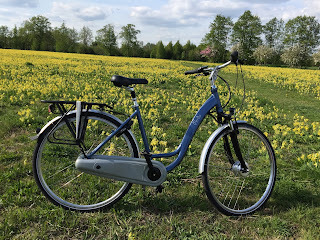 It seems as though summer is just around the corner and now I am on the road to recovery I'm looking forward to lots more electric biking.